Had to pull off a busy road to enjoy this beautiful view early one morning, knowing that fans of Sky Watch Friday would love the peaceful quiet moment. The cows were up and moving but this little wallaby woke up with a fright when I nearly stepped on it in the grass. One of my favorite Altered Books. 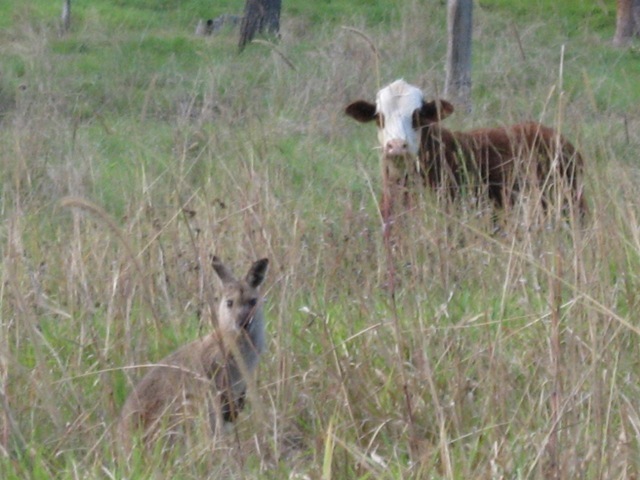 The sky is so beautiful…and the wallaby with his buddy the cow…precious:-) Thanks for sharing! Lovely sky picture Mandy, as well as the &#39;morning crew&quot;! Oh a wallaby in the wilds, how precious.<br /><br />I love the image and the wonderful quote that went with it. I really like how the light is filtering down; that must have been pulling off the road for a better view. Mandy the sky is beautiful! When I see rays of sunshine coming from clouds I feel that heaven has opened to allow someone in.<br />Now how sweet are those animals peering at you! Have a peace filled weekend! I&#39;ll bet he wasn&#39;t the only one who had a fright! Beautiful morning glory.<br />Janice. Beautiful beams coming down from that sky! Wonderful sky with rays. I can&#39;t imagine almost stepping on a wallaby. Thanks so much for sharing. Beautiful sunrays and I adore your bushwhacking animals. Lovely shot and cute wallaby. Very Aussie. lovely rays pouring through the morning clouds. this is not always easy to capture. Mandy: The sunlight coming through the cloud openings is so neat. I enjoyed your mixture of critters. The sky photo is fabulous, and that little wallaby is adorable 🙂 Love the quote! Love the rays streaming through the clouds! Thanks for the visit and comment! Liked very much the first frame with the sunshine peeking through the clouds. 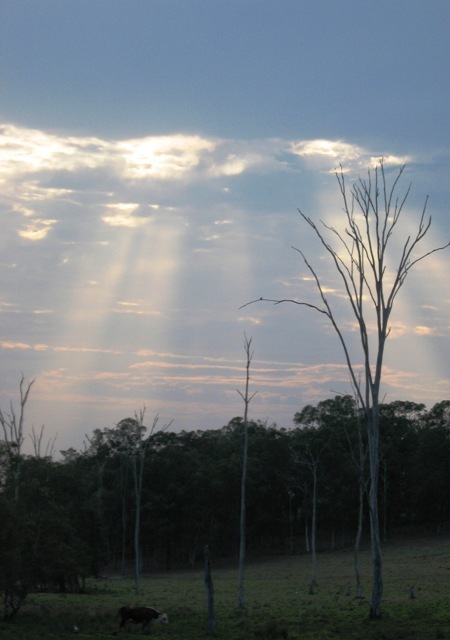 Great capture of the sun rays! Love that you included the animals… that look right into your camera! i like that &#39;a heart thats always soft&#39;, &amp; how special are those beams of light appearing from the middle of the sky!! 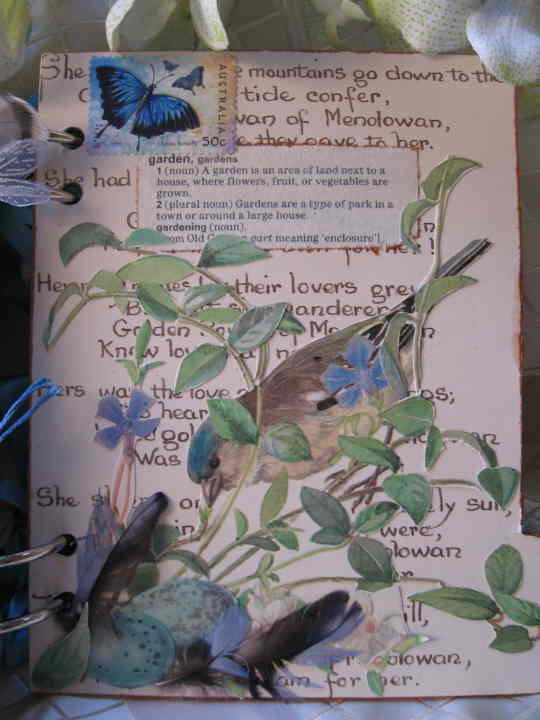 !<br />loveliest wishes<br />p.s a beautiful altered book!!! Your pictures are beautiful and the altered book is outstanding! I really pops! Like the sun rays coming from the clouds.